In various roles including: Designer, Art Director and Creative Director throughout his career. He understands the ins-and-outs of print and what it takes to make your piece look its best. Todd is meticulous about every stage of the process: from the design to paper selection to dealing with printers, he can get your piece done on-time and looking great. Todd is a professional photographer as well. If you should need photographic services, he's your man. A retrospective show featuring covers from 25 years of Creative Loafing. 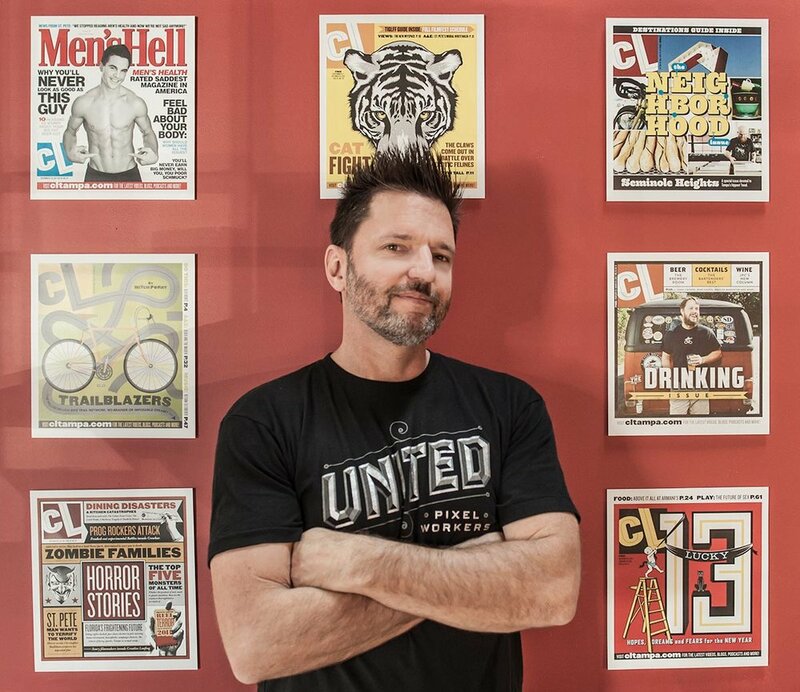 Todd has designed hundreds of covers for the Tampa based weekly and won numerous awards from the Association of Alternative Newsmedia, the Society for Professional Journalists and his covers have appeared in Print magazine. On location at Pixar headquarters in Emeryville, CA. Gathering materials for the book The Pixar Treasures. Behind the scenes with the guitar Jimi Hendrix played at Woodstock. This guitar, along with many more iconic instruments, would be featured in The Guitar Collection.